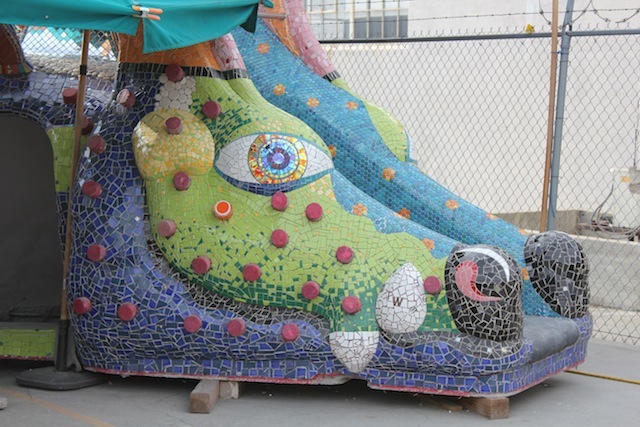 Asked in December 2012 by the Trust for Public Land to create a children’s climbing frame for a Los Angeles park, artist Jolino Beserra decided to cover it with thousands of pieces of broken tile, crockery and glass. The Trust agreed. A little more than a year later, his vision is slowly being realized at the rear of a movie prop yard in Burbank. As of mid-January, 2014, concrete forms of a dragon, turtle and frog have all acquired glistening scales. Working under a network of tents and umbrellas, and unfazed by the roar of the Golden State Freeway, Beserra and group of LA artists calling themselves the “Mosaic Mafia” have been cutting and applying thousands of pieces of ceramic and glass to figures that are at once works of art, a warren of secret passages, a climbing frame and slide. The danger posed by the materials, says Beserra, ends with his team’s work with tile cutters and water saws. Every single piece of the glass and ceramic scaling will be filed down to perfect smoothness. 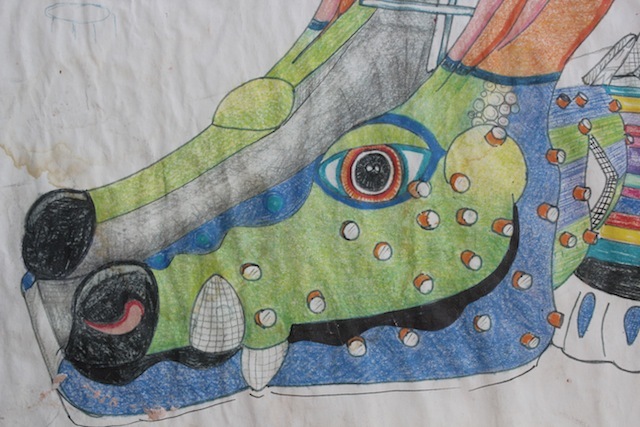 In springtime a smaller companion piece and each of the segments making up the roughly 30′ x 7′ dragon, each weighing eight or nine tons, will be moved to the new TPL park in Maywood, southeast Los Angeles, where Beserra will begin joining the forms and grouting. To see the dragon project under construction, go to this photo essay on Flickr. 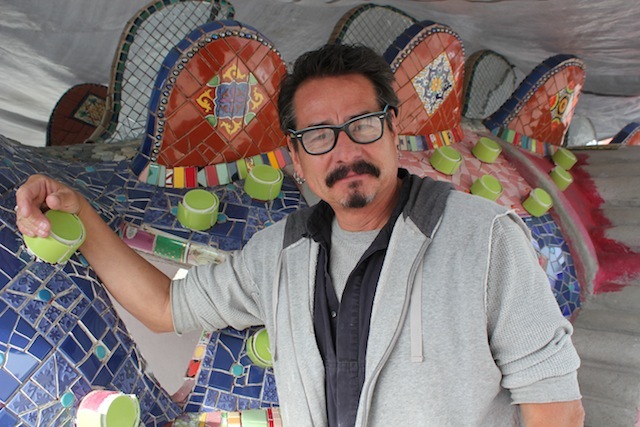 Or follow these links to see Beserra’s work on the Alhambra Library and a pocket park in El Sereno that emboldened the Trust to commission the dragon slide. 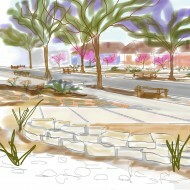 Thank You so much for your interest in promoting this mosaic that is very special to me and the community of Maywood. I’m very proud to have been asked to create this bit of magic. 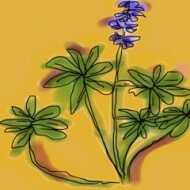 Bringing art and natural spaces to the people in under served areas is what life is all about for me. I look forward to seeing the kids when this is unveiled in the spring. Thanks again and all the best to you.